There is no doubt that social media is taking on an increasing amount of importance in our lives. So, here at PLIA Designs we have not been surprised that women are now according just as much importance to the role that their tech accessories play in their wardrobe, as they do to their designer handbags. Our range of designer laptop bags and iPhone cases merges the best in contemporary design and craftsmanship. This means that they are the perfect complement for the wardrobe of today’s stylish woman about town. We know that women want designer handbags that make them feel good about themselves, and that they also want the same from their tech accessories. This is why we have created a range of uplifting designs for our laptop cases. Paris is the Fashion Capital of the world and our original macaron laptop case pays tribute to French chic and gastronomy. 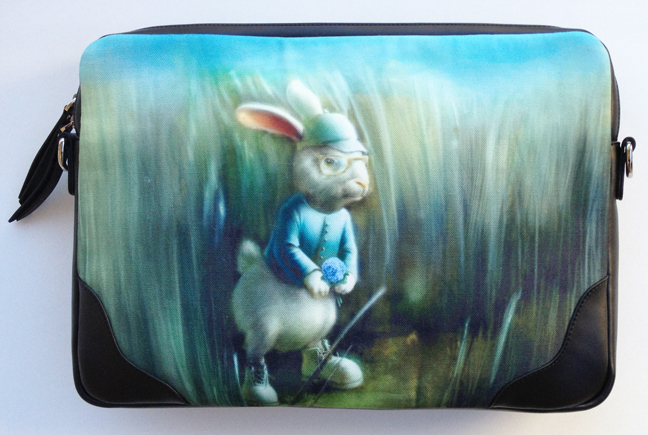 Animal lovers among you will love the magical Higgins version of our laptop case. The sleek and elegant Kensington will probably suit the more serious among you!